Last edited by pirst on May 20th, 2015, 1:59 am, edited 9 times in total. Displays all browsing history sequentially in a logfile format. Show referer information and browsing breadcrumb info. How about making your addon compatible with SeaMonkey? 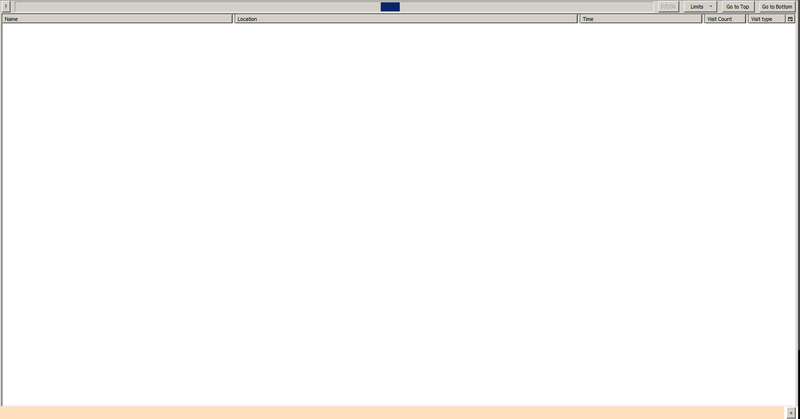 I haven't tested this extensively but the converted version seems to work in SeaMonkey. This only shows how easy it would be for the author to add SeaMonkey support! I'm having some problems with Norwell, when I type something into the search history bar and press enter nothing happens. The little magnifying glass at the end of the bar turns into an x after I press enter, as if it is working, but nothing ever happens. The numbers to the right of the search bar showing the number of results etc. don't change either. Alfred001 wrote: I'm having some problems with Norwell, when I type something into the search history bar and press enter nothing happens. The little magnifying glass at the end of the bar turns into an x after I press enter, as if it is working, but nothing ever happens. The search bar should turn into progress bar after you press enter (while it's fetching results). After search is complete it would go back to search bar with x instead of magnifying glass. You didn't mention what version are you using. Norwell 2.0 is out. I really can't say anything about your problem as you didn't mention if norwelll ever worked for you or it's just misbehaving recently and it might be related to something else. If it's brand new installation and it doesn't work for you, try installing it in new profile. You can even try importing previous profile history. Ah, I'm using an older version. Did 2.0 come out today, because I installed Norwell yesterday? How do I updated now? Do I just click on add to firefox at the 2.0 version's page or will this install another seperate instance of Norwell? Do I have to first remove? The reason I'm installing Norwell is because I'm trying to find out when I first accessed a webpage, but I've found that firefox only has records of my history up to 17.11. of this year and I first accessed this webpage much earlier than that. I didn't wipe my history before that. Do you know if there's any way to recover the records from earlier than that? No special procedure required for norwell. Update it just like any other extension. I don't think it's possible to recover deleted history records. Version 2.2.3.1 is not loading my history. When I use the old version 2.2.1.2 and open the Norwell page I see some addresses right away. When using any version above 2.2.1.2 the addresses those addresses don't appear automatically and trying to use the history import tool doesn't work. I'm using Firefox 34.0.5 on Windows 64bit. I also tried on a difference Firefox profile with all add ons except Norwell disabled. Does anything appear in 2.2.3.1? What appears and how it appears in norwell on opening varied from version to version, but it was never blank. In few versions it displayed 1000 entries of history from the very begining, but almost all versions display todays history. any errors in browser console (ctr + shift +j)? This is what appears if I clear the log then open the Norwell page. xpi file is just a zip file. historyQuery.js is inside. after you save it - restart the browser (if you edited in original location) or reinstall norwell.